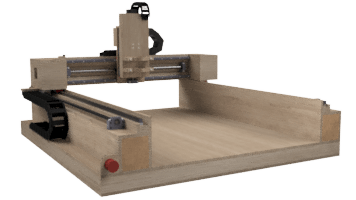 I was on the search for a DIY CNC kit or plans that would be affordable and yet be fast, reliable, and easy to operate and maintain. After months of research it was clear that none of the available options would meet my needs. At one point I realized that I had gained enough knowledge to come up with a new design from scratch that would meet all of my needs. 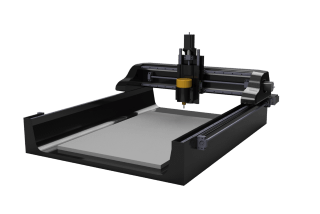 It was frustratingly difficult to sort through the myriad options and to find the information required to design a CNC machine from scratch. It would have been somewhat easier to over-engineer the machine to be sure it would work, which is the route many people take. However, I had a tight budget and being an engineer, I wanted to optimize the design and get the most bang for the buck with my machine. Eventually the design was completed after over a year of research, many iterations of the design, and engineering analysis. After spending so much time and effort to gain the required knowledge, I did not want it all to go to waste. I started writing everything down and ended up with the Intro to CNC Router Design eBook. I also put in the time and effort to create a detailed set of drawings and plans so that I could help other DIYers that want a really nice machine at a reasonable price. I hope all of this is helpful to you. Please feel free to get in touch. I enjoy passing on what I have learned and helping others to create!